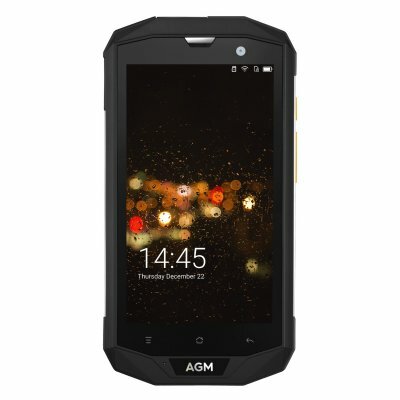 Successfully Added Original AGM A8 SE IP68 Waterproof Mobile Phone 5.0 Inch 2GB RAM Quad Core OTG GPS Cell Phone Black 【Coupon: EAS04】 to your Shopping Cart. The mobile phone with P68 waterproof function, protect your phone when sunk into the water. 5.0-Inch screen with 1280*720 resolution provides clear and vivid vision. 2GB RAM and 16GB ROM allow you store data, files, songs, apps, videos etc. 4050mAh Battery guarantees you enjoy your songs, videos, games journey. The body of AGM A8 reaches to military grade, ensures it won't be caused any damage by felling in the mud or on the rough surface from the height of 1.5m. Android 7.1 Nougat provides a lot of major improvements and refinements over its previous version, including the ability to display multiple apps on-screen at once in a split-screen view, supports for inline replies to notifications and so on, you will be amazed by AGM A8. Adopting a 5-inch 720P HD display AGM A8 delivers razor-sharp images in rich colors, and Gorilla Glass 3 offers the best protection against scratching by most of hard objects. 0.1s fast autofucus, coupled with 8MP high pixel CMOS sensor allows you to take all the vibrant photos you want like a professional photographer. AGM A8 adpots Dual Mocro SIM cards and a MicroSD card of up to 32GB, supporting 4G LTE wirless service on most major networks worldwide. The software of AGM A8 has been specially optimized for stable GPS and Glonass performance, which makes you never lose your way outdoors. Say goodbye to one charge a day, 4050mAh battery provides long usega and standby time that make AGM A8 can last for up to 2 days use. Various sensors of the AGM A8 strengthen the capacity of the phone to built closer connection with people and environment, offering you the best experience.